When visiting the South West of England, and venturing into the seemingly forgotten region of Cornwall, you may feel as though you have taken a small step back in time. The roads are the width of a car winding between towering hedges, the houses seem to be made of granite blocks and the average age is ten years higher than the rest of the UK. 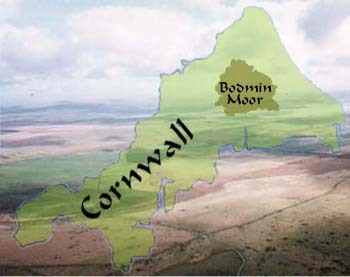 Many, when greeted with these sights, head to the more popular areas along the coast line, the party town of Newquay or Lands End maybe, but I implore you, embrace the history, indulge yourself in the quirky folklore and visit Bodmin Moor. As you reach the edge of Bodmin Moor you come across a bizarre and unexpected sight, two circles of standing stones, varying from a few feet to the height of a person, these stone circles reach a diameter of nearly 20 meters and the stories behind them are incredible. The Cornish folklore states the stones were formed from a group of heathens, playing a game of bowls of the Sabbath, turned to Granite for their sins, others say this is a medieval calendar of the months painstakingly erected hundreds of years ago, but nobody can deny the stone circles, known as the Hurlers to the locals, hold an eerie countryside beauty. The Moor stretches as far as the eye can see, pitted with rivers and quarries, littered with livestock and wild ponies, but through it all if I had to pick one place, I would recommend braving the 20 minute walk to the Cheesewring. This magnificent quarry is a popular destination for rock climbers, but this aside it has a unique quality for sightseers as the volcanic activity and harsh weather over the years has formed in the most magnificent way. When you approach the Cheesewring you will struggle to measure the magnitude of the stacked stones decorating the hillside, but as you come closer you are greeted by humongous rocks, the side of large cars, simply balanced upon each other five or ten at a time. Sit amongst these goliath formations watching our over the moorland, with nothing but wild animals, rivers, lakes and bracken, the perfect place for a picnic, I think so. Previous articleWHAT HAPPENED TO GOOD CUSTOMER SERVICE? What a great article. I had never actually heard of Cornwell. Ive gone to London many times and spent time in southern England as well. But, next time I go to England, I will certainly check out Cornwell and the moor. This post is very interesting. Traveling is underscored on my To-Do list for next year. I like to visit mysterious places and I must admit this would be one of them. Thanks for sharing it with us! This is very nice place..i will try to visit this…..